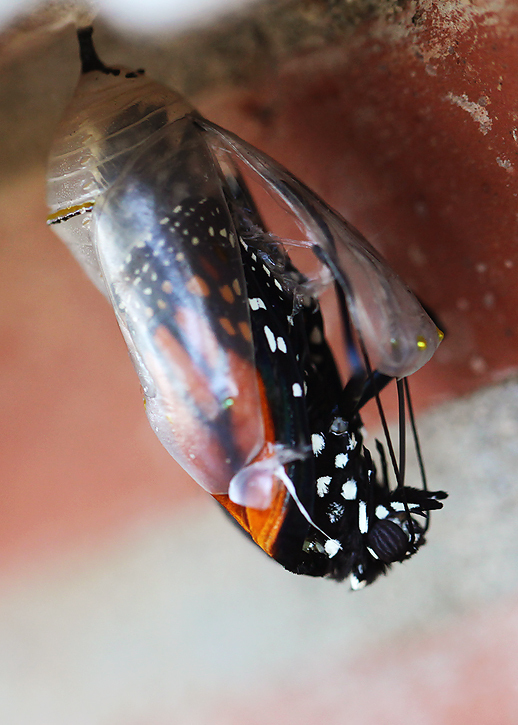 Watching these two butterflies emerge from their chrysalides last week was an absolutley amazing experience! 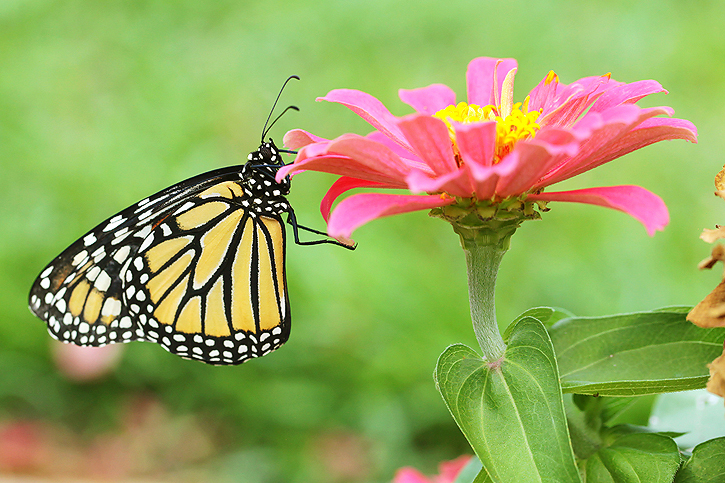 I spent four or five hours sitting on the ground watching them and taking pictures before they flew away. 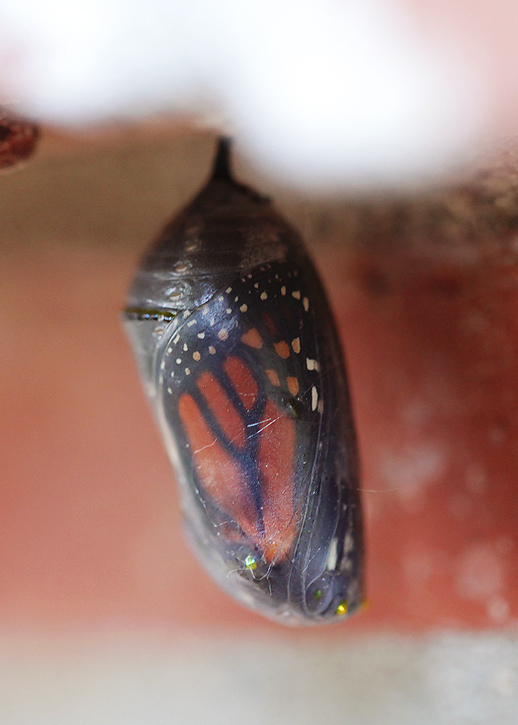 First I noticed Wednesday evening that I could see the monarch's wing through the chrysalis so I knew it was close. (The pictures make the chrysalis appear bigger than it actually is. It's only about one inch long). Early the next morning, the butterfly could clearly be seen through the chrysalis. 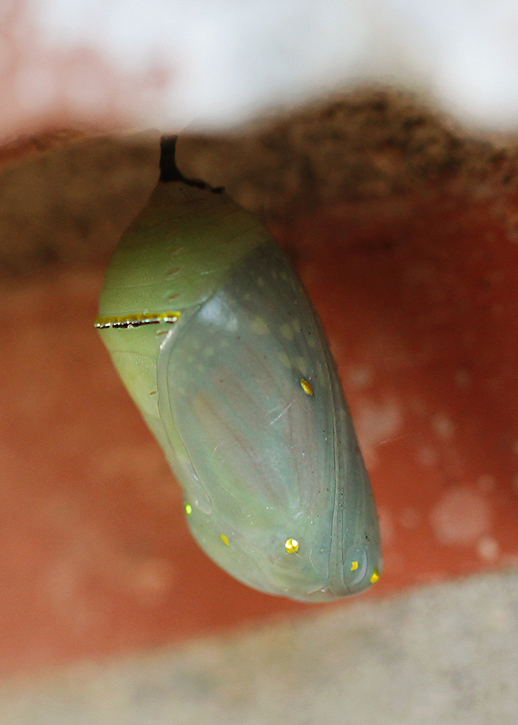 You can refer back to last week's post to see what the chrysalis looked like a few days earlier and the week before that to see the caterpillars. 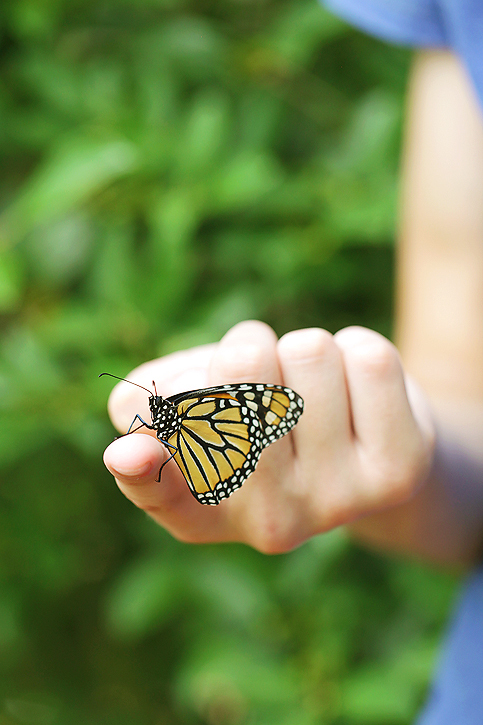 So then the little butterfly started pushing on the chrysalis until he freed himself. 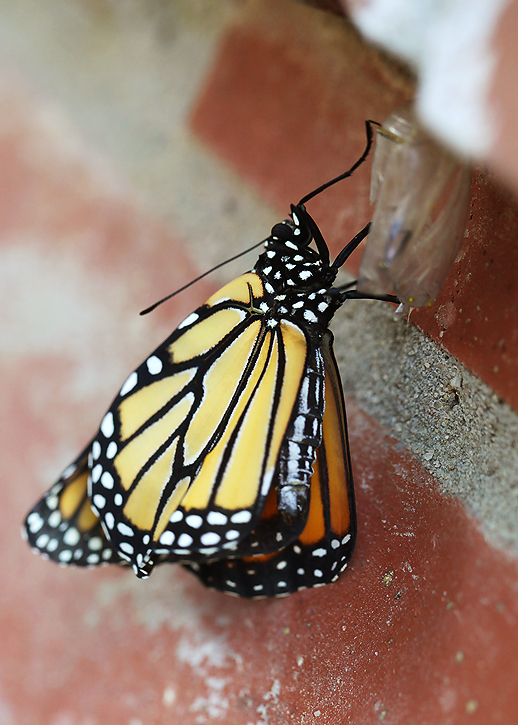 He hung onto the chrysalis for about two hours while he was getting ready to fly. First his wings were a little crumpled. And finally, he was ready to spread his wings and fly. I was taking pictures with my iphone when he flew and landed right on the corner of it. So I grabbed my dslr and kept shooting! He flew away right after this never to be seen again, but his friend was still getting ready to fly. When Mason offered his finger, she crawled on. As best I can tell, the one above is male because of the two black spots on the inner veins of his wings. But this one below appears to be female. 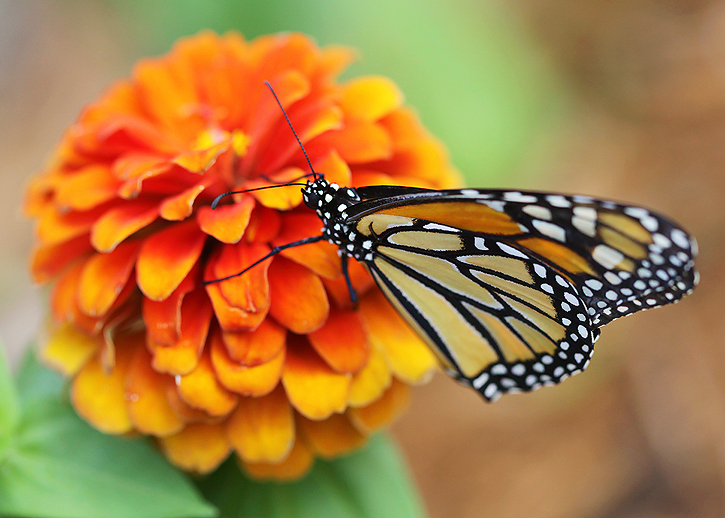 Mason gently placed her on one of our zinnias and she stayed around there until she was ready to fly away. I'm happy I get to cross one thing off my photography bucket list. And now it's time to share your photos again! There are just a few rules. Fantastic shots! Amazing even to capture in photos! AMAZING! Such a gorgeous and delicate part of our world - it reminds me of observing this with my class in September! 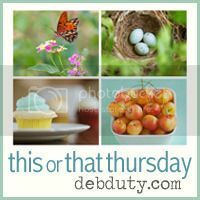 I actually talk about it in my post for today! Great minds think alike! These are awesome pics, Deb! Thanks for sharing this experience. These are truly amazing, Deb. Sam LOVED it! Deb these photos of the butterfly emerging are absolutely incredible. what a great series of posts and how amazing that you were able to capture the butterfly when it came out. Probably has taken alot of patience watching and being there at the right time. Awesome!!! wow, such great captures! They are so beautiful! Brilliant photos Deb. So pleased for you that you have crossed it off your bucket list! These are breathtakingly gorgeous, Deb! Thank you so much for sharing! 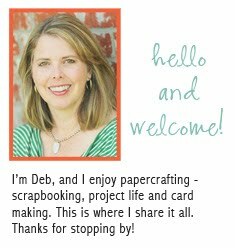 Absolutely incredible Deb! I loved watching this miracle of nature occur via your photography. Thank you for sharing. How exciting to have witnessed this process. And great shots to document the experience! Awesome job Deb, we have done this a few times and it is truly a miracle to watch the transformation. Fabulous captures. WOW! You've got some stunning shots here Deb. So wonderful to see your amazing photography. Amazing to witness a miracle. These are spectacular! How amazing that you were able to capture this on film, and witness it with your own eyes. Beautiful! How exciting! Beautifully photographed Deb, a delight to capture and for us to enjoy also. That is soooo awesome!! Gorgeous photos. I'm so excited that you got to experience this! It is so amazing! And how cool that you got a male AND a female. Now they can go make more butterflies. :) I've read that they come back to where they were "born" to lay their eggs. 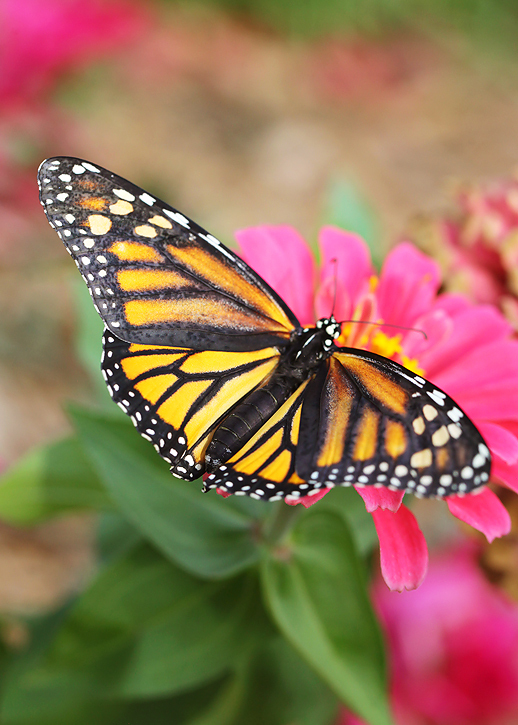 Here's hoping you get to see more Monarchs this year! Oh, and your photos are beautiful! 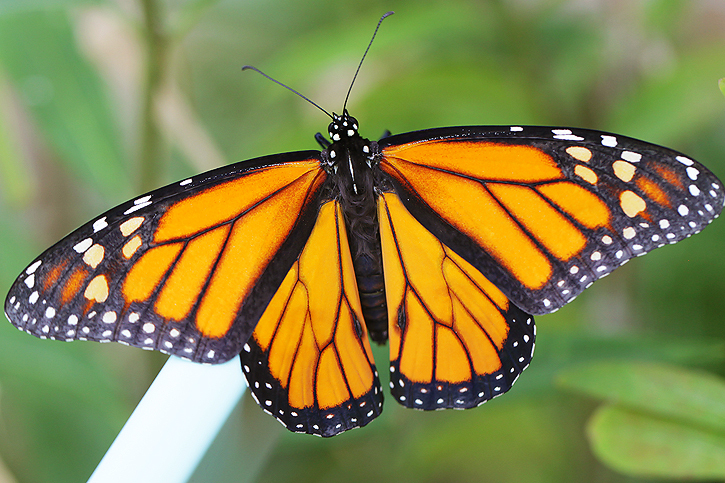 Thanks for sharing the transformation of the Monarch. Your photos are lovely. Absolutely MIRACULOUS to see Deb- I'm so happy to were able to do this & capture it. Love showing this to my kids. That is so amazing, I must buy a butterfly kit someday when I have children. These are amazing pictures Deb! Wow, you captured this amazing transformation so beautifully, thank you for sharing it with us. My kids enjoyed this too! wow those are really beautiful shots! 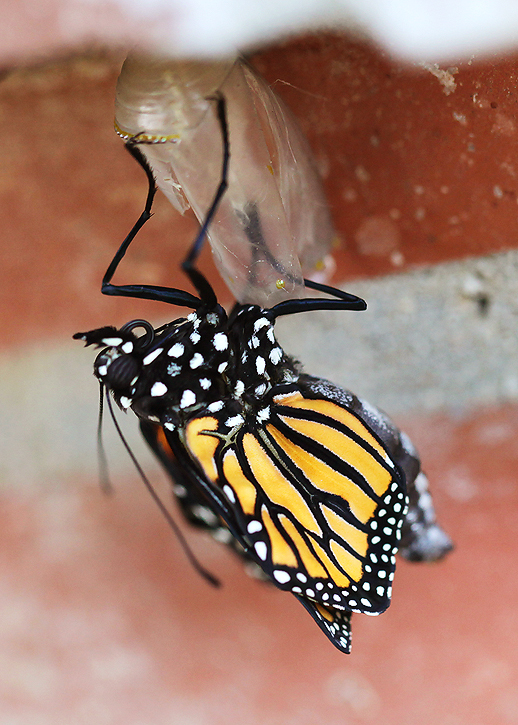 So cool seeing the wings of the butterfly in the cocoon like that ad watching i emerge! really cool! Beautiful and amazing! My boys loved seeing it too! What an amazing experience! I just can't imagine the wonder of it all. Thank you for sharing your pictures. Those photos are seriously AMAZING, Deb!! So beautiful and crystal clear, you can see every little detail in perfection! You should try to sell those, you would make a fortune!!! I know a bunch of teachers that would enJOY use this series of pictures for science class so, I'm Pinning this to my teacher-in-me board. Thanks for sharing. These photos are beautiful and wonderfully captured. My grandma used to keep dozens in jars, watching them hatch. Wow, fascinating photos. That is just too cool! That is SO cool! Such great pictures! OMG, I have so enjoyed these posts for the last couple weeks. It was like being in Science class and having a project. Your did a wonderful job with the narratives and photographs. Thanks so much for sharing the lovely butterflies and their flight. Oh my Deb! I'm sitting here my mouth wide open! Your photography is breath taking! I am so pleased to be back here catching up after my enforced absence. What an amazing opportunity to get this series of photos, stunning. Those are amazing photos. I read your blog all the time and have loved seeing your photos and your PL layouts but when I saw these beautiful butterfly pictures I just had to say awesome job. Sorry that I couldn't make it last week but came back to see your butterflies!! Awesome shots Deb! absolutely spectacular! I'm amazed at your photos...stunning!